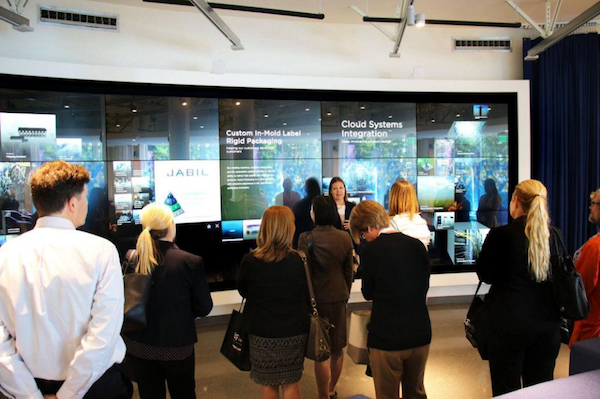 Tour of Jabil Blue Sky with Networking Reception. 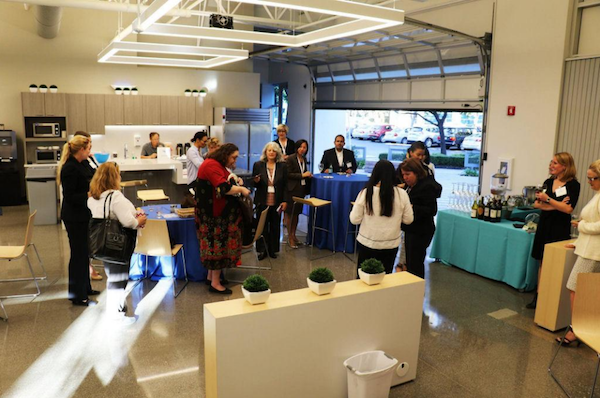 It was a perfect afternoon in San Jose at the amazing Jabil Blue Sky Center where 30 women from around the nation gathered to network with, listen to and discuss with other leaders within the Health, Digital, and Medical devices industries. Annie Feutz, co-hostess from AdvaMedWEN, set the stage with a warm welcome for everyone and invited them to gather and share fruit skewers, nuts and juice. Transformation & Analytics, Kaiser Permanente, who facilitated a very engaging, informative and interactive Keynote discussion on the power of healthcare IT innovation and the impact on the delivery of care in regards to the Digital health records. After Terhilda's engaging Keynote, a panel consisting of Denise Odenkirk, Associate Vice President, Sales, GHX as the Moderator, Thomas Polen, Executive Vice President and President, Medical Segment, BD, Victoria E. Carr-Brendel, PhD, Chief Executive Officer from JenaValve Technology, and Ilana Shulman, Vice President and Chief Compliance Officer at Hill-Rom took a deeper look into "Maximizing Diversity and Making Actionable Changes Across Your Organization". The panel was so well received that the participants continued to engage the panelists as they prepared for the Jabil tour. 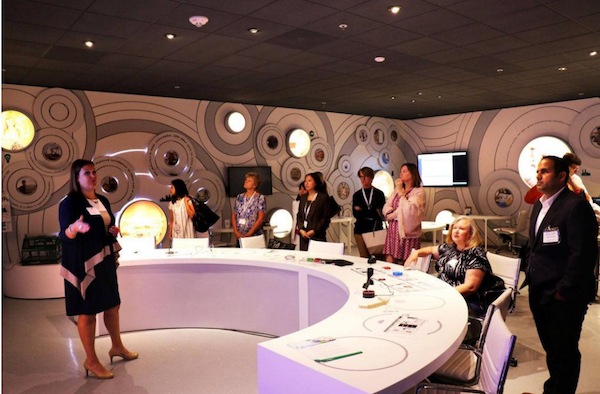 At 4:15 the second part of the event opened up to additional 15 new attendees who arrived to participate in a tour of Jabil's Blue Sky Center. 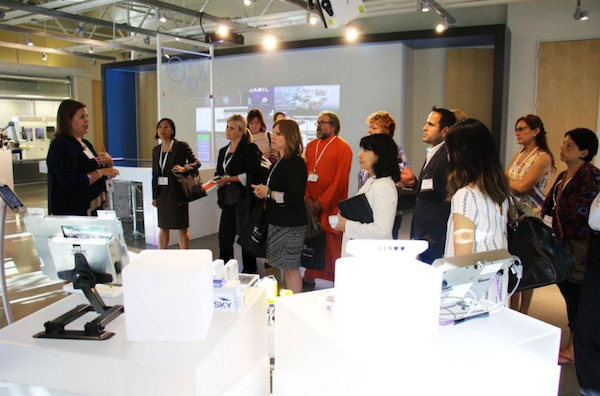 Each time we have hosted an event at Jabil Blue Sky, a tour is arranged so people can take this 1/2 hour tour of their state of the art facility and every time, visitors continued to be blown away by the innovative and exciting content that is added, updated or has been enhanced. This tour was no exception to that rule! After the tour, the guests were invited to enjoy a wonderful assortment of appetizers and assorted wines provided for the Networking Reception. 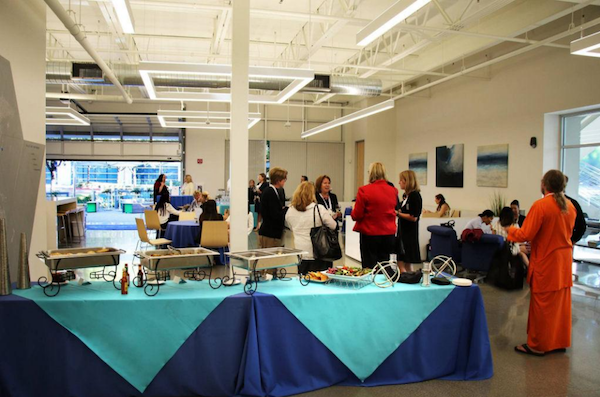 Jabil's open atmosphere creates just the right amount of space to network easily, while still offering places to sit away from the crowd and dive into deep conversation. 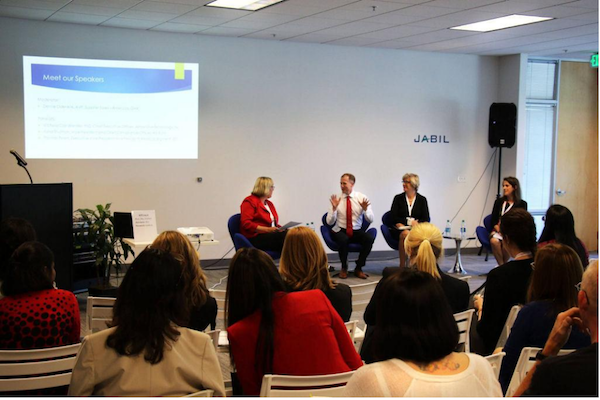 Jabil Blue Sky raffled off to those who attended the tours a special scheduled event with Joanne Moretti, General Manager at Radius Innovation & Development; SVP & CMO, Jabil, who would present her "TOP 10 Leadership tips for Breaking through the glass ceiling" presentation. Karen Cornwall, Founder of AttunoVation and one of the regional WITI Members, was the winner. For the three WITI Goody Bags, it actually turned into a rather amusing raffle with two men winning two of the three bags; Nikhil Kumar, Director from Kelly OCG, and Dada Nabhaniilananda, The Monk Dude. At the end, people weren't quite ready to break up the reception, but alas, it was well past time to say goodbye again to the beautiful technology space called Blue Sky Center. Thanks to my co-hostesses and planners - Annie Feutz, from AdvaMed WEN, Karen Giorgi-Vigo from MedtechWomen, Stella Lowe from Jabil Blue Sky, and Coleen Kane, Silicon Valley Network Region Events Chair for the awesome experience. It was a pleasure to work with you all on this event. I would especially thank Joanne Moretti, General Manager at Radius Innovation & Development; SVP & CMO Jabil and Christine McDermott Chief Marketing Officer at Jabil Packaging Solutions for supporting WITI, being amazing Partners and providing us the space at Jabil Blue Sky Center for this event.